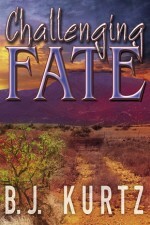 Saturday, October 10th (2:00 – 3:00 PM): Book Signing with B. J. Kurtz, Challenging Fate. Saturday, October 10th (3:00 – 5:00 PM): Pima Writers Group discussing writi ng memoirs. Click here to register and view topics. Sunday, October 18th (12:00 – 2:00 PM): Pima Writers Group discussing Scrivener. Click here to register and view topics. Saturday, October 24th (2:00 – 3:30 PM): YA Authors Shonna Slayton and Amy Nichols Book Talk & Signing. Ms. Slayton will be featuring Cinderella’s Shoes and Ms. Nichols will be featuring While You Were Gone. Although, both will have be happy to sign their other book as well. Sunday, October 25th (12:00 – 2:00 PM): Pima Writers Group with the topic to be determined. Click here to register and view topics.